Discover The Wonders of Our Earth and the forces and life forms that shape our world with the Physical Geography Series. This live-action program deals with the geological processes that take place where ocean meets land. This live-action video deals with the geological processes that take place where ocean meets land. Learn how erosional and depositional processes form features such as rugged coastlines, barrier islands, spits, Tombolos, wave cut terraces sea stacks and beaches. Animated sequences take you underwater to show processes underway just off the shoreline. 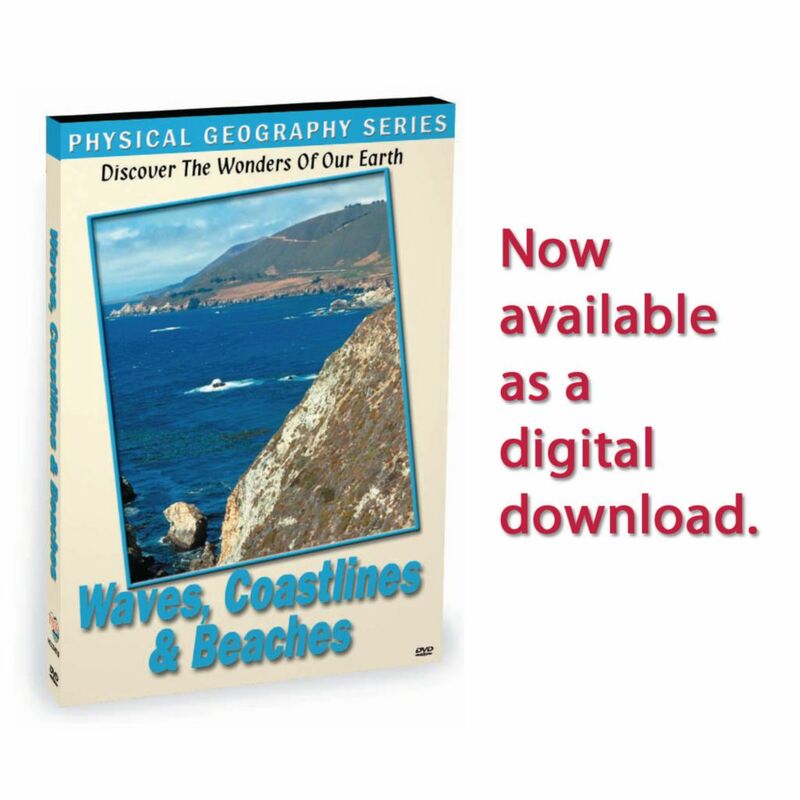 Subjects covered include: Where and how ocean and lake waves originate, The anatomy of a wave including crest, trough, wave length and height, Erosional features associated with coastlines including wave-cut terraces, beaches, sea cliffs, sea stacks and sea arches, Depositional features associated coastlines including beaches, wave-built terraces, spits, hooks, barrier islands and berms, Shoreline profiles including offshore, shore or beach, backshore and foreshore.